Last edited by KuroTheSoldier; 12-28-2018, 06:00 PM. When you start a new account you get a spawn for 30 gems that gives one UR gear and 9 other things. How is this BS? Ateam makes it seem free to try and get more people to download the app. In reality it's an average deal and as easy as it is to get gems as a starter you still have to work for 30 gems. It’s not even an issue anymore. We are at the stage where top whales are over 1 million GS and 500k GS isn’t impressive anymore. For true beginners they need all the help they can get to catch up as well as keep them interested in the game. 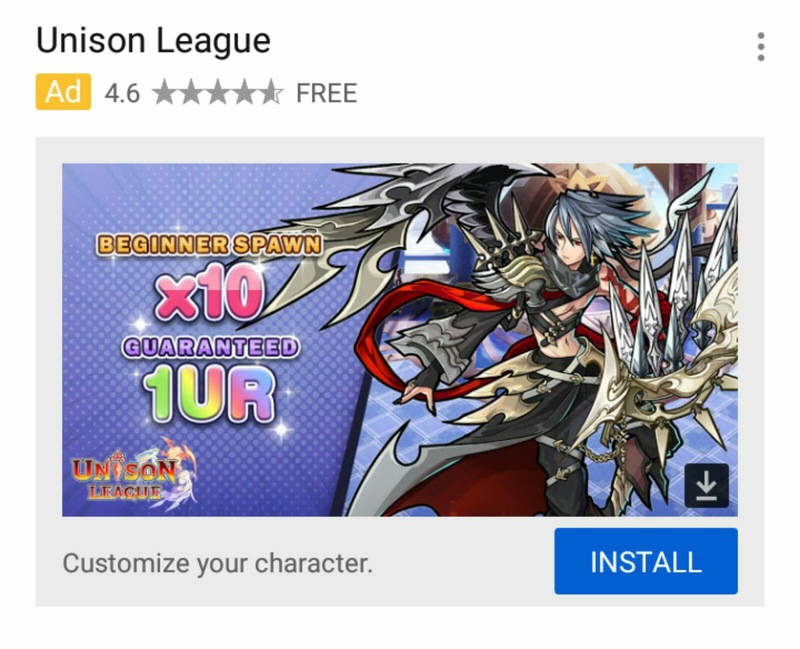 I'm just happy there are Unison League ads. I have never in my life seen a single ad for this game, so I think I'ma spin this in a positive direction and say "Yes, the game is getting more popular. That's good. More players is good"
I don't know why you think it's a free spawn. It doesn't state it in any way on the banner. The free word is next to the stars which means that the game is free to download. Ooooh a UR. Boooohooo! It’s really no big deal... The value of the UR and SSR is really garbage nowadays.... and more for people who have been around for a long time. That guy in the banner is outdated af! Like nothing outside of special box spawns and treasure spawns are noteworthy I don’t even care about SSR tickets even the 26+ cost ones cuz it’s all junk really lol the days are over when I see the spawn wheel spin 4 times and I get excited I’m just like ok what kinda garbo am I getting now. My real question is what does that even mean to new players?